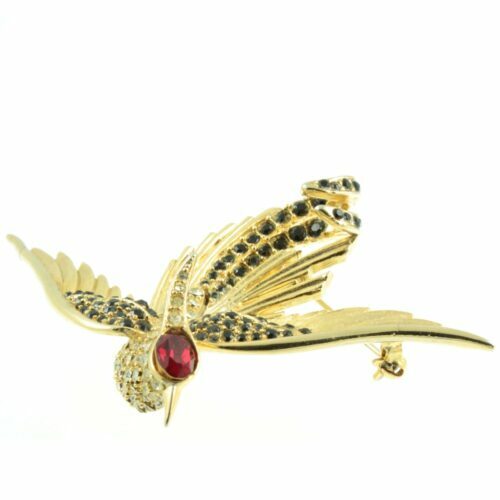 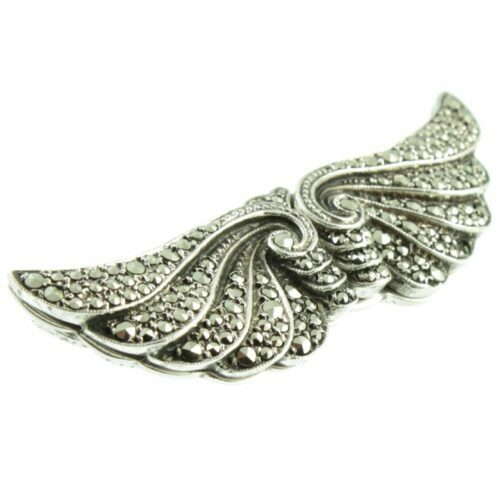 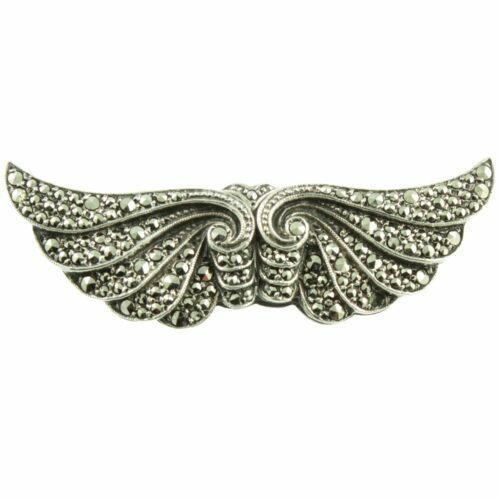 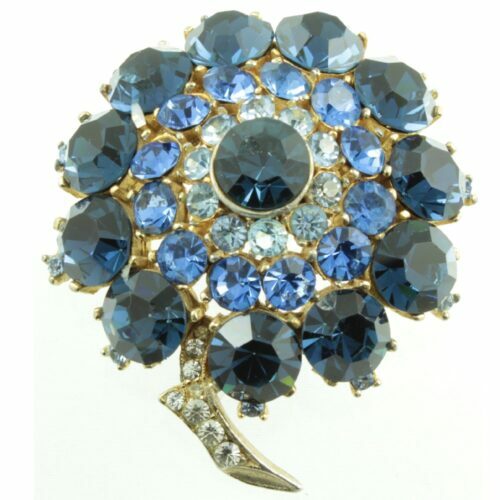 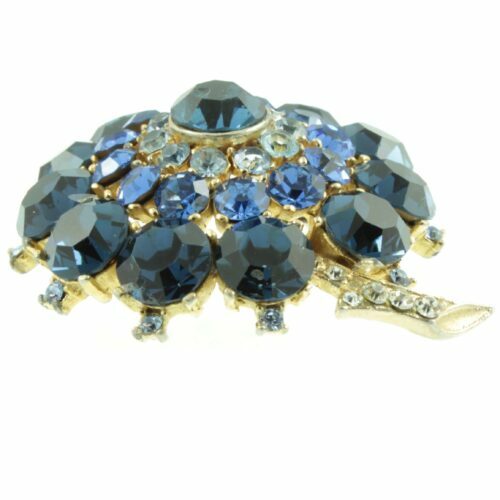 An original Victorian brooch. 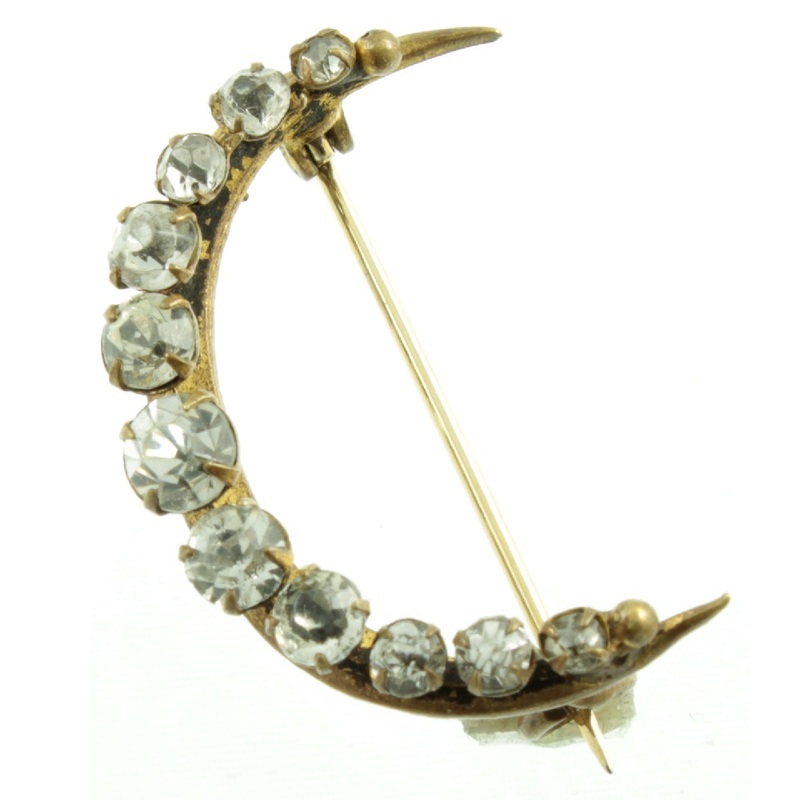 A crescent moon studded with clear graduated rhinestones in a gold tone setting. The pin on this brooch extends beyond the brooch itself, this was a security measure and is a characteristic of Victorian jewellery. 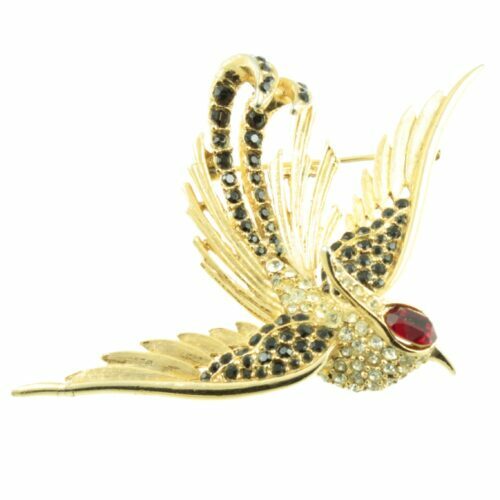 A rare piece of antique costume jewellery. 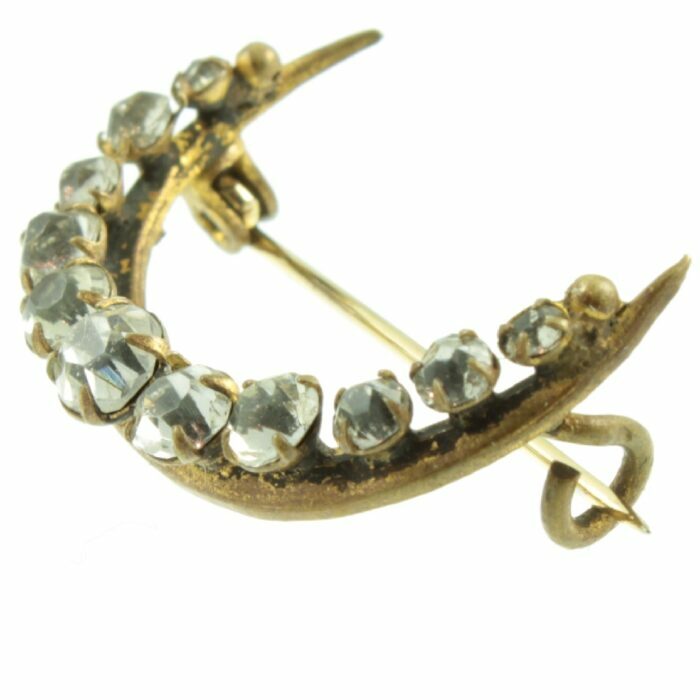 Size : 28mm x 18mm, weight : 2.4g. 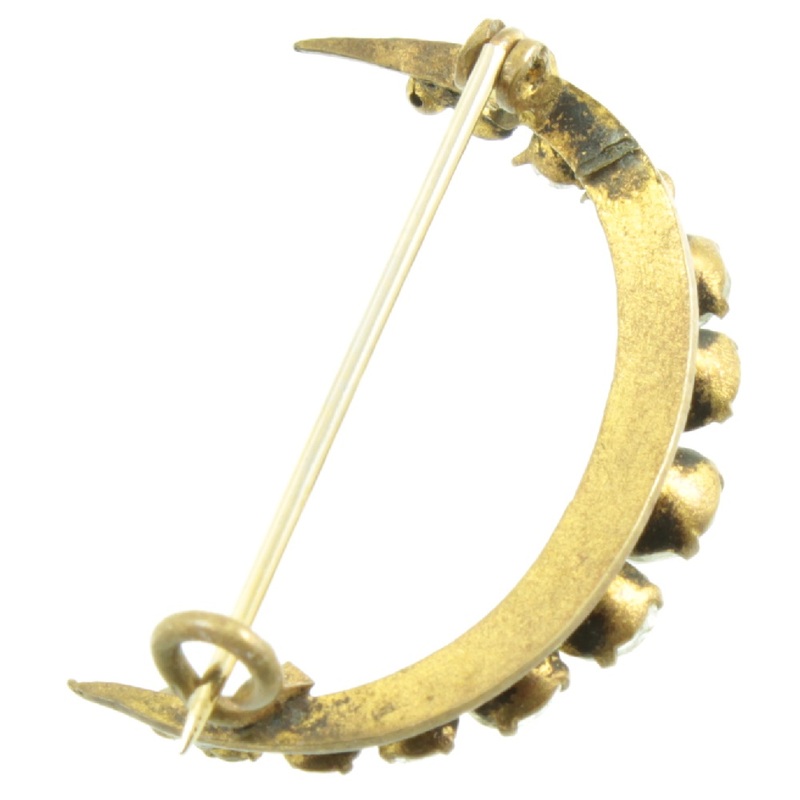 Period : Victorian Jewellery ( 1837 – 1901 ).